The Route4Me partner program is open to any organization and individual. It helps you make more money, with minimal effort, and gives you the opportunity to retain your customers for longer. You just need to refer; that’s it. But why would you refer? What’s in it for you? How reliable is our routing and scheduling software? All these and many other questions will be answered in this article. And if you have more questions that are not covered here, do not forget to leave a comment at the end. There are several benefits you can reap by being part of the Route4Me partner program. These are discussed below. The biggest benefit of our partner program is that you don’t need to let your customers down, even if a service request is not your forte. For example, we integrate with hundreds of telematics software providers through our Telematics4Me telematics gateway. Their customers often ask if they can help with route scheduling. But because that doesn’t fall under the umbrella of our partners’ service offerings, they introduce Route4Me as reliable routing system software. In this way, you not only make an additional revenue source with the ability to upsell or cross-sell our product, but you will also be able to ensure that your customers are happy, and thus retain them for longer. Also, when you, as the vendor, hook your customers up with another vendor and have everything integrated and working, it’s very unlikely that your customers will leave you. This is because leaving you then means that they have to change other vendors and modify the entire process. Which is tedious and painful! Our partner program is aggressive compared to other mediocre channel partnership programs. In fact, it can turn out to be your actual revenue stream, instead of just making you some extra money. It’s a simple and straightforward commission model, and there are no tiers or levels of partnership. You don’t even need to go through any lengthy or complex documentation to understand the rules and regulations. Just get us a lead, and as soon as we convert it into a sale you start getting paid. The best part is that it’s residual income; so as long as the customer stays with us, you keep getting paid. There is no cap or limitation on the minimum or maximum number of leads you need to bring in, or how many you need to recruit in a certain time period (such as a fiscal quarter). We take all the responsibility of training, customer support and invoicing. You literally don’t need to worry about any headaches. However, we do provide our partners with the option of invoicing the end users or their clients, as there could be some special cases where you may wish to bill the users on your own. For example, if it’s a municipal or government contract, some partners prefer taking on the billing responsibility. Route4Me’s route planner software can be integrated with other programs. So as a customer, you don’t need to use multiple software systems, and can manage everything from one place. For example, you can integrate the delivery management software with major ecommerce platforms. You can then automate the transfer of addresses from your ecommerce platform to the map route planner, which will save you time and will eliminate the possibility of data entry errors. We understand that getting leads is not easy and so we help you with marketing as well. We offer free assessments for your customers, without any strings attached, to see if they’ll really benefit from our routing software. We also work with our partners to put landing pages on their site, so that attracting customers becomes even easier for them. 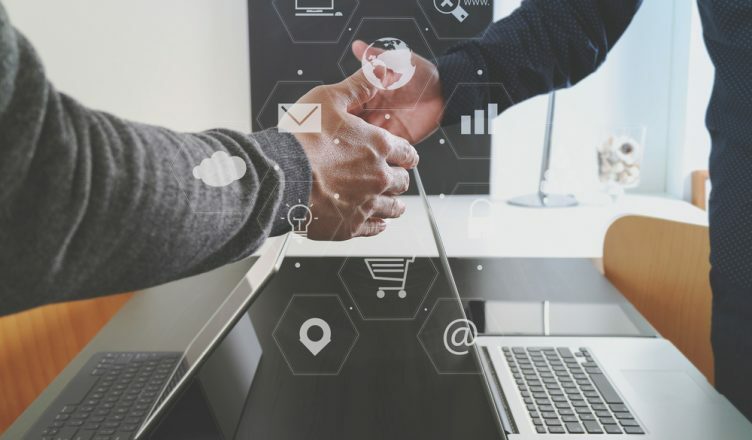 If you’re a telematics provider and want to sell your product to an organization that already has telematics in place, they’ll be less likely to switch to your services. The reason for this is often that they don’t want to swap because it’s difficult to do so. So even if they’re unhappy with their current provider they still need to persevere with the same product, as the risks and challenges associated with switching providers are great. But with Route4Me, they can easily connect their existing provider and you, as the new provider, to see everything on one screen at one place. And it is fairly seamless to switch to the new provider or even to have multiple providers. 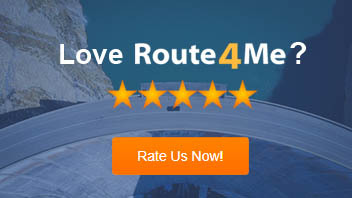 Is Route4Me’s Fleet Route Planning Software Good Enough? You might wonder whether our scheduling software for service companies is good enough to introduce to your customers. Well, our software is the most downloaded mobile-enabled route planner on the planet (with over a million downloads). Route4Me’s route planner for delivery drivers tracks millions of device location updates per day. And it’s already being used to make over 100 million visits per year. Here’s a detailed list of the features and benefits that Route4Me’s dispatch software offers which makes it the most loved product by our customers. Web-based software: You don’t need to install anything on your computer and you can access the software at any time from anywhere. It’s also scalable and you can always upgrade or downgrade at any time. Dedicated mobile app: You can access our last mile delivery app on both Android and iOS devices. GPS tracking: It comes with vehicle tracking capability to help you monitor what your drivers are doing on the road in real time. 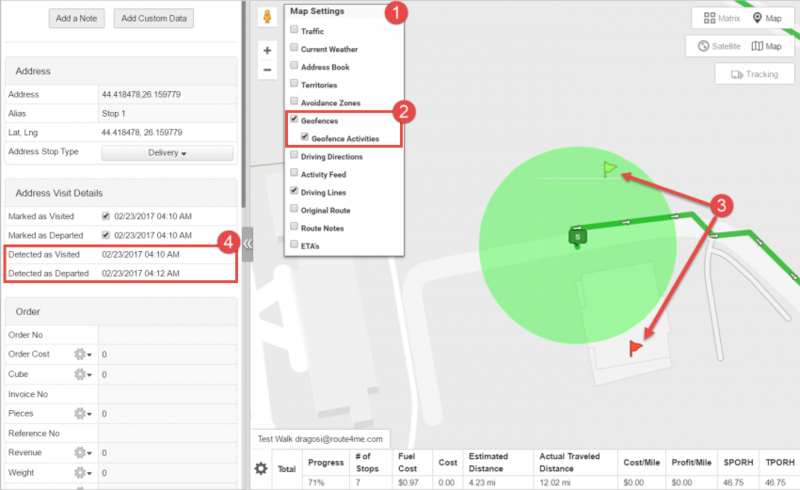 Geofencing alerts: Our trucking dispatch software comes with a geofencing alerts feature that helps you know immediately when any driver crosses the speed limit or idles for too long. Auto check-ins and check-outs: The geofencing technology also ensures auto check-ins and check-outs so that your drivers never need to manually record their arrival and departure logs. 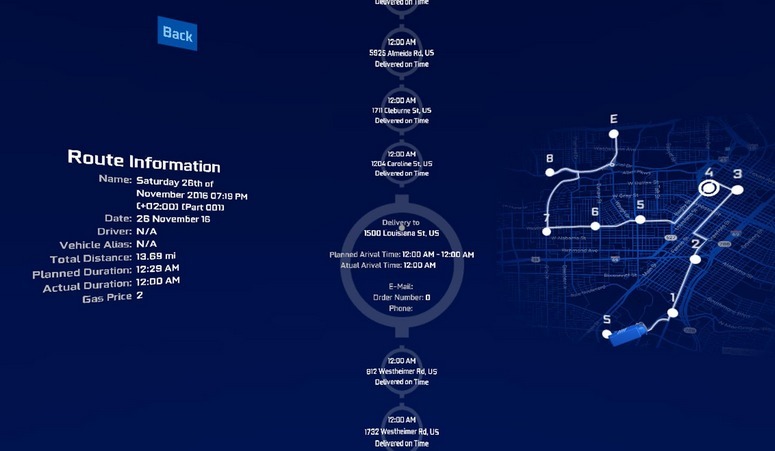 Dynamic route optimization™: Our scheduling software for service companies helps you plan 100% accurate and well-optimized routes in just 30 seconds. You can even set several parameters, such as avoidance zones, turn restrictions, and weight limits, and the truck mapping software will ensure that all the routes are planned as per your preferences. Detrimental factors and situations are also circumnavigated, such as bad weather conditions or traffic, which positively impacts on the routes created. Balanced workload: Our business optimization software ensures none of your employees are overworked or underworked. You just need to upload the list of customer addresses, and the software will then ensure equal distribution of the routes among all of your drivers. 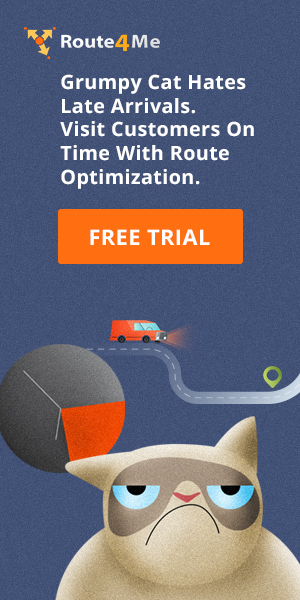 Re-optimization: Our delivery scheduling software helps you re-optimize routes so that your field reps can still show up on time, even if a customer requirement is changed or a vehicle breaks down suddenly. 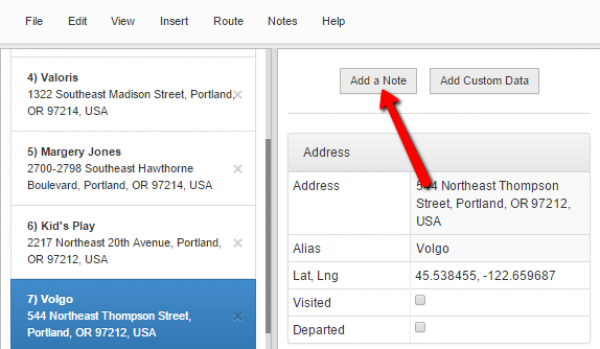 Add notes: Our vehicle routing software comes with an add note feature that helps you make notes to any addresses on your route. Geocoding: Our delivery scheduling solution comes with a geocoding feature that ensures that all the addresses that you need to deliver to are accurate. You just need to add the addresses into the dynamic routing tool and the software will then automatically flag any wrong addresses, and provide you with suggestions for replacing those with the accurate addresses. 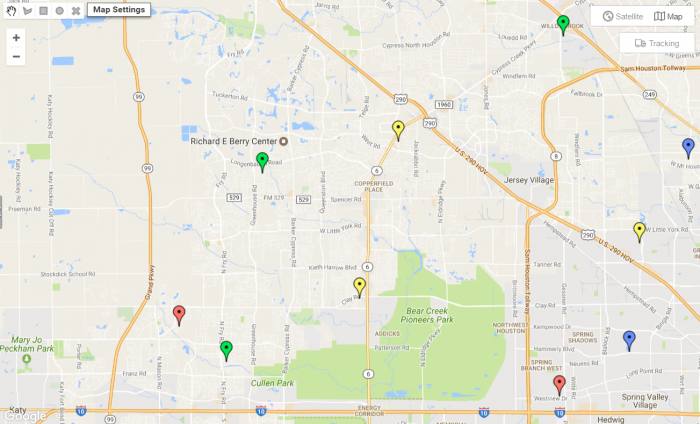 Territory optimizer: The Route4Me territory optimizer feature allows users to upload multiple driver locations and customer locations, and automatically match them up in terms of finding the nearest driver to each customer. Two-way, real-time chat: Route4Me comes with a two-way, real-time chat feature that helps you or your dispatcher communicate with your field reps in real time. Reporting and analytics: Route4Me offers a reporting and analytics feature that provides you with detailed information about your routes, such as fuel expenses, distances traveled, and time taken, to keep you on top of your field operations. eSignatures: Our multiple destination route planner comes with eSignature technology that helps you settle customer disputes easily. Your customers just need to sign on the drivers’ smartphone screens and the signature will stored in the software. You can then use it as delivery proof in case a dispute arises. Customer portal: Route4Me offers a customer portal that allows your customers to monitor the status of their inbound visits by using tracking numbers or their Account ID. However, you can control the information you want to reveal to them regarding the visit; for example, the drivers’ identities and the estimated arrival times. Virtual reality app: Route4Me comes with a virtual reality app that allows you to view several screens in a 360-degree dashboard. This will help you keep everything organized. Dedicated onboarding program: Route4Me’s delivery schedule software is extremely easy to use so there is almost no learning curve. However, we do have a team of dedicated onboarding specialists who can provide our customers with best-in-class training, and help them to get the most out of the software. Color coding: Route4Me offers a color coding feature that allows you to mark your leads with various colors. For example, you could use green for a lead that’s ready to buy and blue for a lead that you’ve never contacted before. This is yet another way in which Route4Me helps you focus your resources where they’re most needed. Interactive map screen: Route4Me comes with an interactive map feature that shows you where you’re performing well and where you’re not. With this information, your sales team will know where they should be focusing more of their attention. So have you been part of any channel partnership program before? Do you have any questions about our partner program or our software? Please feel free to leave your comments below. Does our partner program allow our associates to invoice their customers themselves? How does Route4Me help you improve your customer retention rate? 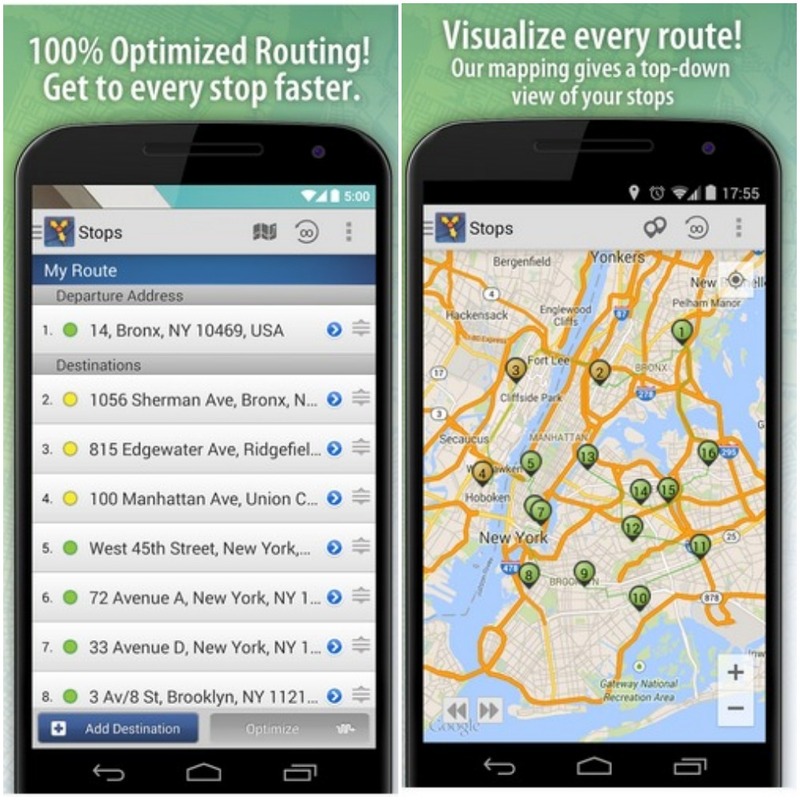 Why should you encourage your customers to go for a web-based route mapping solution?